At Rejuvenation we are contacted daily for help with Semi-Permanent makeup disasters and the consequences can be dire and very distressing. This specialist type of removal should only be carried out by a specially trained practitioner and can be removed safely by using the latest laser techniques. Katrina trained with Lorena Oberg who is the pioneer of this treatment. The areas which can be removed are eyebrows & lips. When removal work is done on the face, there is no room for error, this is very specialist treatment. Our lasers are gentle enough so that the hair follicle is not damaged. 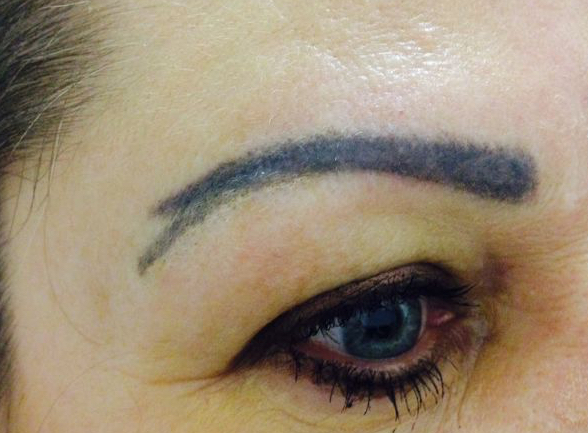 We are able to remove and correct semi-permanent make up. Every permanent makeup removal case is different and we will be able to assess you and give you an idea of what needs to be done at the time of your initial consultation. 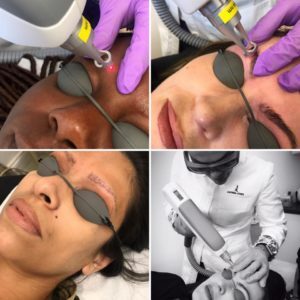 Specialist Semi-Permanent/Permanent Makeup Removal in Sawbridgeworth, Hertfordshire and are with 30 mins drive of Bishops Stortford, Epping, Sheering, Harlow, Hatfield Heath, Hatfield Broad Oak, Birchanger, Takeley, Stansted Mountfitchet, Manuden, Fyfield, Elsenham, Hoddesdon, Furneux Pelham, High Easter, Henham, Chipping Ongar, Hertford, Widdington, Clavering,Theydon Bois and other surround towns in Essex, Herts and London.